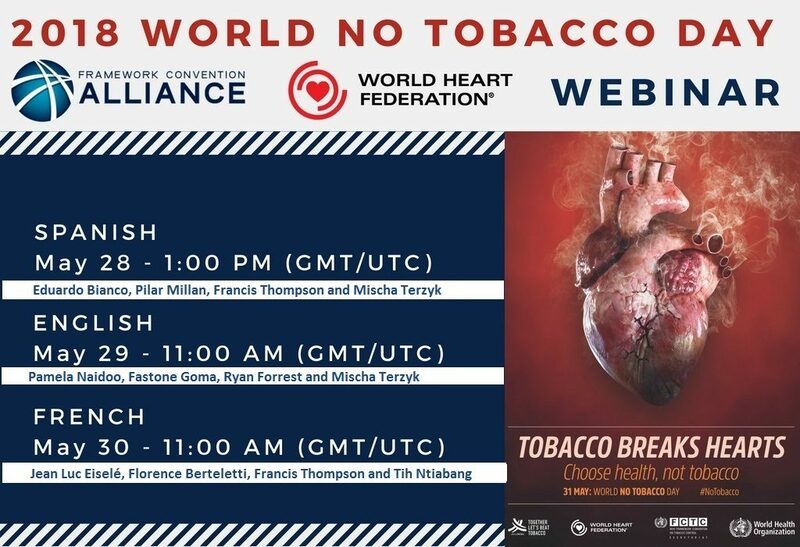 WHF and FCA are pleased to invite you to a series of webinars to discuss the link between tobacco and cardiovascular health as part of this year’s World No Tobacco Day. They will be conducted by experts from around the world in three languages on different days: Spanish on May 28 at 1pm UTC, English on May 29 (Tues) at 11am UTC and French on May 30 (Wed) at 11am UTC. Join us in this exciting opportunity! The call will be taking place on Zoom. If you’ve never used Zoom before, please allow an extra minute or two before joining to download the app.